A face with round eyes and wide downturned gapping mouth. 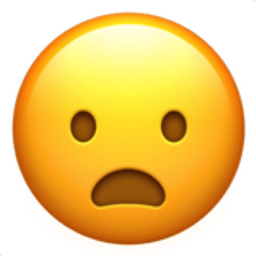 This is the standard frowning face for emoji. The emoji is not a happy camper and is not afraid to hide it.